Our experiences and reactions are shaped by the way we see the world. We do not respond to the world itself, but to our image of the world, to our mental representations and social constructions of reality, which are not entirely accurate. As Korzybski (1958) famously said, “a map is not the territory it represents” (p. 58). These images are captured by attitudes, which help making sense of the world and aid decision making by providing cognitive simplicity, as they divide the universe in things one likes, dislikes, or has no opinion about. Accordingly, language attitudes are a powerful force in language learning, interpersonal and intergroup dynamics, defining and expressing social identity, and language policies implementation, which makes them especially relevant in multilingual settings, where different languages coexist and people have to negotiate who speaks what language to whom and when. Such is the case of Catalonia, a bilingual Autonomous Community that also hosts a large number of foreigners, representing 14.5% of the total population. Thus, in order to face the social, linguistic, and educational challenges created by the migratory movements, it is essential to understand the attitudes towards Catalan and Spanish of those involved. The attitudes of young people are especially relevant since their linguistic choices will determine the future of the languages of the territory where they reside. Thus, as Strubell (2001) underlined, the future of Catalan depends on the recruitment of new speakers among the newcomers. In this sense, recent findings showing that autochthonous students prefer Catalan, while their immigrant peers tend to favour Spanish (Huguet, Janés, & Chireac, 2008; Madariaga, Huguet, & Lapresta, 2013) raise concerns regarding the future linguistic dynamics that will characterize Catalonia. Searching to uncover how to foster positive attitudes and encourage favorable attitudinal change, two studies were devised as part of the doctoral thesis “Language attitudes in a multilingual and multicultural context. The case of autochthonous and immigrant students in Catalonia”. The first study examines the factors that influence language attitudes, aiming to determine the most influential variables. The second study uses a longitudinal design to examine if immigrant students changed their attitudes towards Catalan, Spanish, and English over a period of two years and under what conditions these changes took place. The participants were 1173 secondary education students enrolled at ten schools across Catalonia, of which 673 were autochthonous and 500 were of immigrant origin. Of these, 72 immigrant students were contacted a second time, two years later, in order to gather the longitudinal data. All participants answered a series of questionnaires about their attitudes towards Catalan, Spanish, and English, their language uses of the official languages and their own language, their self-identifications with Catalonia, Spain, and their area of origin. Their language competences were also examined with the help of two parallel tests for the Catalan and Spanish language. Finally, students were asked to provide socio-demographic information, including their age, gender, socio-professional and socio-cultural status, length of residence in Catalonia, and area of origin. The results obtained confirmed that autochthonous and immigrant students have different attitudinal patterns. Specifically, immigrant students had more favorable attitudes towards Spanish and less positive attitudes towards Catalan than the autochthonous participants. Moreover, the determinants of language attitudes and the strength of their effect varied between the autochthonous and immigrant students. Thus, gender, grade, socio-professional status, socio-cultural status, Catalan competence, Spanish competence, area of origin, length of residence, and place of birth, self-identifications and language uses influenced the attitudes towards Catalan and Spanish and these effects were stronger in the case of the autochthonous group than for the students of immigrant origin. In other words, the aforementioned factors are significantly involved in the processes of attitude formation of autochthonous youngsters, but play a rather small part in how newcomers construct their attitudes. For instance, socio-professional and socio-cultural status conditioned the attitudes towards Catalan and Spanish of autochthonous participants, while having no effect on the attitudes manifested by their immigrant peers. Students from families with higher status expressed more favorable attitudes towards Catalan and less positive towards Spanish. These results are not surprising considering that Catalan maintained its high status during the Franco dictatorship and has later become the institutional and education language, strongly associated with political and economical power, a position further strengthened by the internal migration of the 1970s, when Spanish-speaking families from the poorer regions of the country moved to Catalonia and concentrated mostly in the working class. These differences between the autochthonous and the immigrant group suggest that personalised policies are required, seeing that the successful process of fomenting favourable language attitudes on the part of the previous internal immigrant population may not function for the current international immigrants. Furthermore, self-identifications and language uses were revealed to be the most influential determinants of language attitudes for both groups of origin. In this sense, attitudes are anchored in identity, they serve to define and express one’s identification. Additionally, language use constitutes a marker of identity, representing a way for individuals to affirm to which linguistic group they belong. Thus, self-identifications, language uses, and attitudes are intricately connected, mutually influencing each other. The dynamic and interdependent relationships between them also have a reciprocal relationship with the social patterns of bilingualism. Concretely, the attitudinal patterns showed by secondary education students mirror the attitudes and ideologies prevalent at societal level. Students with a higher self-identification with Catalonia used more frequently the regional language and had more favourable attitudes towards Catalan, but they expressed less positive attitudes towards Spanish, used less the national language and had lower self-identifications with Spain. Meanwhile, participants who identified with Spain and used Spanish predominantly had positive attitudes towards Spanish and less favourable attitudes towards Catalan. They also avoided Catalan and did not identify with Catalonia. These patterns seem to reflect the historically competitive relationship between Catalan and Spanish. 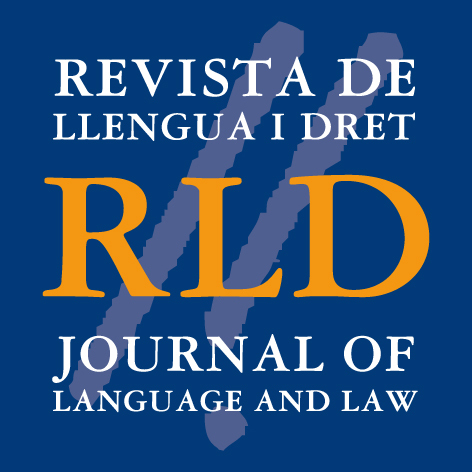 Although the last decade witnessed an increase of cosmopolitan ideologies and multilingualism (Trenchs-Parera, Larrea Mendizabal, & Newman, 2014; Trenchs-Parera & Newman, 2009), there are still reverberations of the ethnolinguistic division between the two languages, especially in the case of the autochthonous students. Consequently, the promotion of a multilingual or cosmopolitan ideology, as well as of a multilingual identity becomes clearly necessary. Thus, by diminishing the occurrence of monolingual ideologies and mutually exclusive monolingual identities, languages might be seen as enriching one’s identity, and cultural capital, instead of being perceived as obstacles and identity threats. The longitudinal study aimed to investigate how the attitudes towards Catalan, Spanish, and English held by students of immigrant origin change over two years. Overall, only attitudes towards Catalan changed, becoming more favorable, while attitudes towards Spanish and English remained at the same level. Considering that Spanish and English are amongst the most spoken international languages, as well as their presence in mass-media and popular culture, it was to be expected that students will maintain favorable attitudes towards these majority languages. The improvement found in the attitudes towards Catalan might indicate that immigrant students’ attitudes towards Catalan were not firmly crystallised. Thus, probably at first Catalan is seen as an unpleasant and troublesome surprise, as newcomers do not expect to have to use another language besides Spanish. However, in time, as they understand and become more familiarized with the linguistic landscape of Catalonia they start to appreciate its own language, which is the language of education, culture, and politics. Knowledge and use of Catalan confers certain advantages and represents a catalyst of social and professional advancement. As they grow up and start to focus more on their professional lives, the youngsters of immigrant origin probably become more aware of the instrumental advantages of Catalan. They could also perceive differently the role of Catalan in fostering social integration. Thus, favorable attitudes and a frequent use of Catalan enhance interactions with the autochthonous population. Secondly, positive change of attitudes towards Catalan could be a consequence of the linguistic policies and measures implemented within the framework of the ‘Plan for the Actualization of the Immersion Methodology in the Current Sociolinguistic Context 2007–2013’. Although these signs are encouraging, we have to consider that the improvement observed was rather weak. This indicates that although the efforts are headed in the right direction, more is needed in order to achieve the desired outcomes. To foster the development of positive attitudes and to encourage attitude change on the part of immigrant students, action must be taken not only at educational level, but outside schools too. Reward systems implemented outside the academic domain and encouragement of intercultural contact between autochthonous and immigrant groups could promote integration and social cohesiveness. The first steps in this direction seem to have been made with the ‘Community Plan’ (‘Pla educatiu d’entorn’) designed to involve the community in the creation of a support network outside school. Another important aspect that needs to be improved to impel immigrants’ social integration and positive attitudes towards the host society and its languages is represented by the personal perception of integration and appreciation in the social and educational areas. As Fishman (1976) explained, “a minority student who is confident of and recognized in his more intimate primary-group membership relates more positively both to school and to society” (p. 36). Therefore, language attitudes can be changed under the right conditions, which can be achieved only if the particularities of the target groups are considered in the design and implementation of linguistic and educational policies and measures. Catalonia [grant number 2014 SGR 208]. Fishman, J. A. (1976). Bilingual education: An international sociolinguistic perspective. Rowley, MA: Newbury House. Huguet, À., Janés, J., & Chireac, S. M. (2008). Mother tongue as a determining variable in language attitudes. The case of immigrant Latin American students in Spain. Language and Intercultural Communication, 8(4), 246–260. Korzybski, A. (1958). Science and sanity: An introduction to non-Aristotelian systems and general semantics. New York, NY: Institute of General Semantics. Madariaga, J. M., Huguet, À., & Lapresta, C. (2013). Attitudes, social pressure and inclusive education in classrooms with cultural and linguistic diversity. Educación XXI, 16(1), 305–328. Strubell, M. (2001). Catalan a decade later. In J. A. Fishman (Ed. ), Can Threatened Languages Be Saved (pp. 206–283). Clevedon: Multilingual Matters. Trenchs-Parera, M., Larrea Mendizabal, I., & Newman, M. (2014). La normalització del cosmopolitisme lingüístic entre els joves del segle XXi? Una exploració de les ideologies lingüístiques a Catalunya. Treballs de Sociolingüística Catalana, 24, 281–301.